Spartan is committed to the communities in which we serve. Individually, and as a company, we work with nonprofit and community based organizations to help improve the lives of our neighbors. Spartan Technologies partnered with ToolBank USA and Qlik to help this dynamic nonprofit organization aggregate and share program data across the national network of ToolBanks, develop inventory demand projections and replenishment assessments, as well as perform year-on-year and city comparison trend analyses. 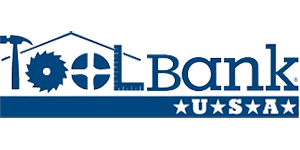 About ToolBank USA – ToolBank USA is a national nonprofit organization that brings the franchise model of replication to the charitable sector as it creates new ToolBanks from coast to coast. Each ToolBank is a massive warehouse full of tools and equipment for use by charitable organizations to increase the impact of their service projects. Nonprofits, faith-based organizations, public schools, and neighborhood associations all borrow shovels, drills, ladders, rakes, and much more to equip volunteers strengthening their community. The result is vastly greater impact for the charitable sector, while sidestepping capital costs of buying and maintaining equipment. ToolBanks in nine US cities loaned $3.7M in tools last year, amplifying the impact of nearly 150,000 volunteers.